OK, a couple more tidbits I came across on eBay. 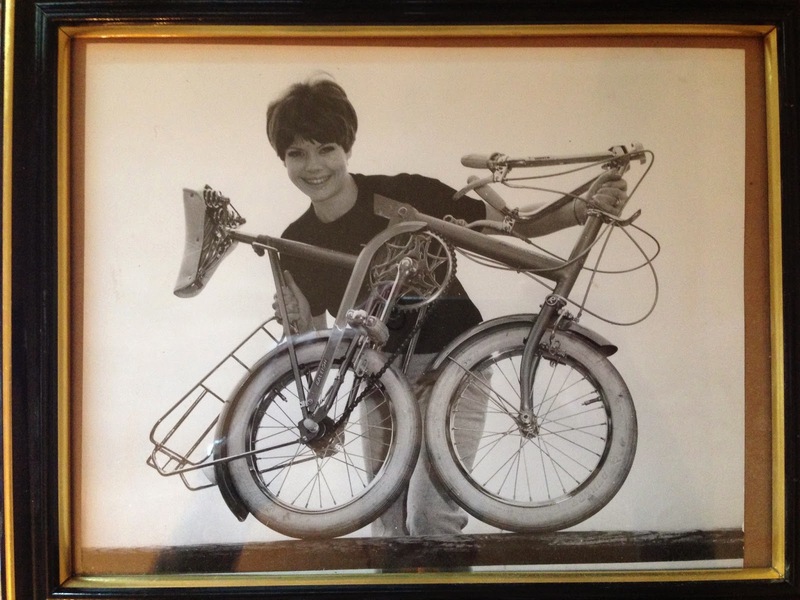 The first is a vintage 1965 photograph of a British model named Jenny White posing with a folded Raleigh RSW. The back side of this photo has writing that indicates that this photo was to be used in official advertising copy for magazines and newspapers of the time to introduce the Raleigh RSW.